Throughout history, drinking tea has been associated with a wide range of benefits from helping relieve stress to boosting the immune system. And here at Lipton we offer a wide range of delicious teas to supplement a balanced diet and help make wellbeing a part of your everyday. Let’s raise a cup to feeling good. 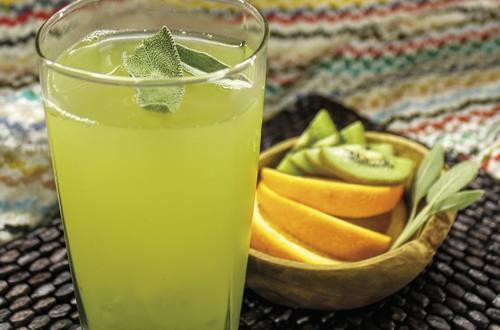 Enjoy a powerful punch of vitamin C with this mix of Lipton® Daily Support Herbal Supplement, kiwi fruit and orange. Seriously zesty and totally yummy, what’s not to like? Find your moment of focus with Lipton's Magnificent Matcha, green tea blended with pure Japanese Matcha in pyramid tea bags.